These features are available on +1 buttons posted on subscribing sites, such as MakeUseOf (see the end of this article). 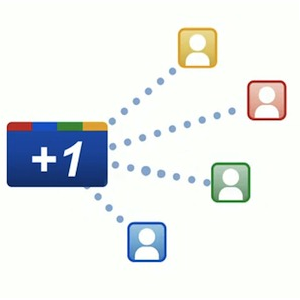 When you see the new “Share on Google +” option on a webpage, you can click it and choose one of your Google+ circles to instantly share that page, similar to how you share webpage links on your Twitter account. You can also add a comment in the sharebox before clicking the sent button. For web content providers using +1 buttons, Google has has included what is called +Snippets, which is a way for publishers to customize the descriptions and linked image that pop-up in the sharebox. More details on customizing are available on the Google Webmaster blog. In a related story, Google has said that it is exploring using +1 buttons as part of its search results algorithm for ranking websites. It told Wired magazine that “the purpose of any ranking signal is to improve overall search quality. For +1’s and other social ranking signals, as with any new ranking signal, we will be starting carefully and learning how those signals are related to quality“. Hey, Bakari! Thanks for the post. I've been waiting for this +Snippets button for a while now, so it's great that Google has finally released it. Cool, Stef. Glad it will be useful to you. I need to get updated on your site. Haven't been on there in a while. Many sites have a "like"' feature of some sort. Facebook quite possibly popularized the idea, but I wouldn't say they have a monopoly on the idea. If we a going to go so far as to say they copied Facebook's like button, then we might as well go as far as saying they copied Facebook's social networking idea. Don't you think they have somehow copied the same concept of facebook like button?